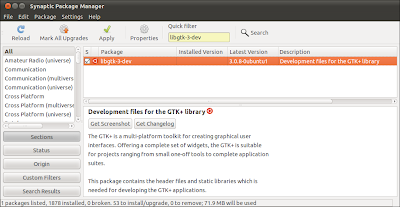 The GTK+ is a multi-platform toolkit for creating graphical user interfaces. Offering a complete set of widgets, the GTK+ is suitable for projects ranging from small one-off tools to complete application suites. 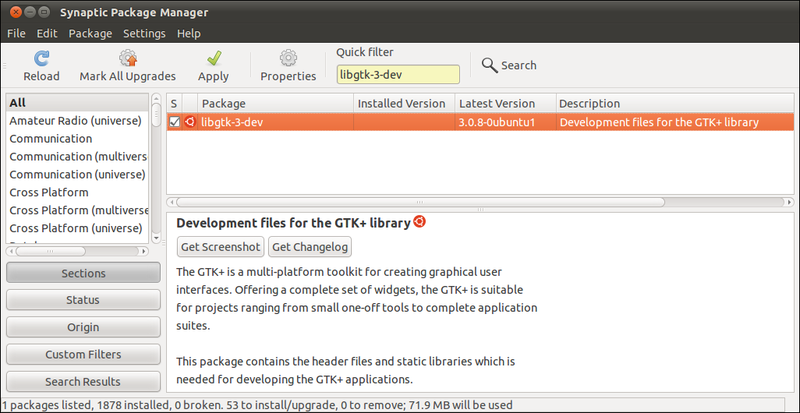 The package contains the header files and static libraries which is needed for developing the GTK+ applications. - Start Synaptic Package Manager, in System -> Administration -> Synaptic Package Manager. - Mark to instal, and also the required components.